Find a licensed professional providing cost-free ENERGY STAR verification for your senior care community. 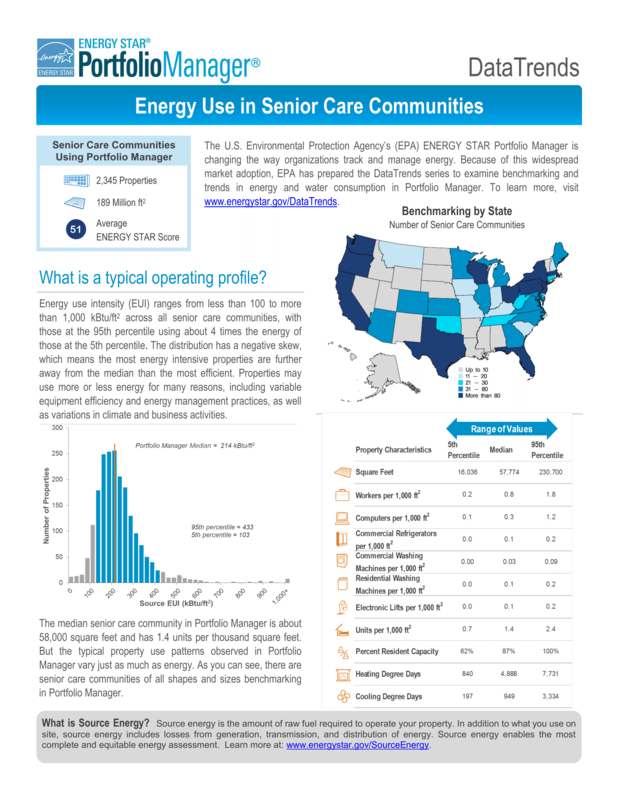 This 2-page factsheet summarizes the energy, operational, and property characteristics of senior care communities benchmarking in Portfolio Manager. Other statistics are also presented in an easy-to-read format. The factsheet is part of the Portfolio Manager DataTrends series, which uses the data available in Portfolio Manager to examine benchmarking and trends in energy and water consumption in hundreds of thousands of U.S. commercial buildings. 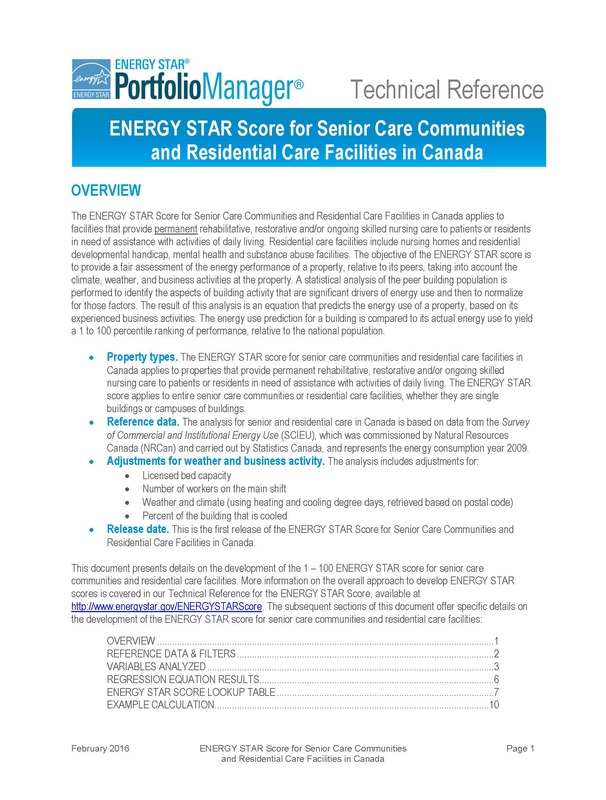 The ENERGY STAR Score for Senior Care Communities and Residential Care Facilities in Canada applies to facilities that provide permanent rehabilitative, restorative and/or ongoing skilled nursing care to patients or residents in need of assistance with activities of daily living. Residential care facilities include nursing homes and residential developmental handicap, mental health, and substance abuse facilities.